I'm on my way to a shopping day with the girls, so I'm going to keep this one short and sweet. As you know, I have one free download of Ella's newest eBook - Ella's Essential Guide to Scrapbooking Boys - to give away and Random.org has picked a winner! Congrats, Kate Anne! Watch your email inbox for further details on how to claim your prize!! 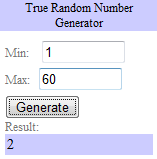 Don't be too sad if you didn't win this time. 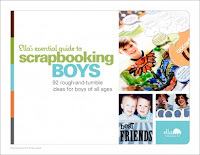 Head on over to Ella and pick up your own copy of Ella's Essential Guide to Scrapbooking Boys for only $5.99!